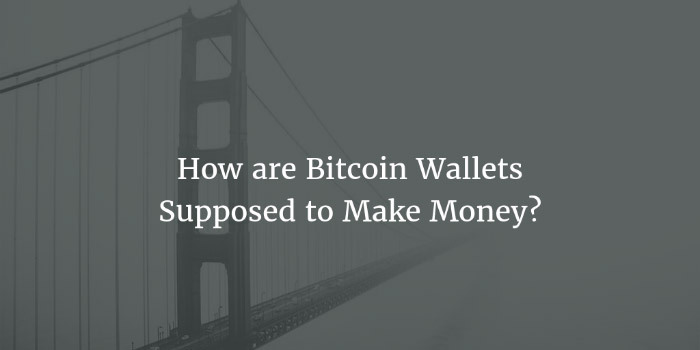 There seems to be an endless list of bitcoin wallets available for those who wish to use the world’s most prominent cryptocurrency; however, the path towards profitability for the companies behind these projects seems a bit unclear. On a recent episode of Bitcoin Uncensored, Breadwallet’s Aaron Voisine and Aaron Lasher attempted to explain the path towards profitability for a bitcoin wallet to co-hosts Chris DeRose and Joshua Unseth. While they aren’t able to talk for the entire bitcoin wallet industry, Voisine and Lasher made it clear that part of a bitcoin wallet’s job is to attract new users to the space, which in turn leads to more users of their wallet. “Our focus is on attracting new users and making Bitcoin more accessible and easier to use for regular people,” Voisine stated. “We’re focused on bitcoin. That’s the whole reason why we exist -- to help people use bitcoin,” Voisine added. While creating new Bitcoin users is great for the entire industry, Breadwallet also wants to focus on carving out a chunk of users for their wallet. “If Bitcoin becomes a major, global currency and we have one of, if not the most, popular bitcoin wallet in the world, then I think that’s a very valuable position to be in,” Voisine explained. According to Voisine, the focus is currently on developing an easy-to-use wallet that also offers the highest levels of privacy and security to its users. “We’re focused on user acquisition and growing our numbers,” Voisine responded when asked how he and Lasher expect to make money with their venture. During the interview, Lasher shared that 33.6 percent of their users are located in North America. When asked about the future consolidation of bitcoin wallet companies, Voisine agreed that there’s a lot of competition in the space and consolidation will eventually be needed. Lasher also noted that Breadwallet has developed metrics to estimate how much bitcoin is being held in Breadwallet software around the world. So what happens once a bitcoin wallet has attained a large user base, and what’s the point of gaining that user base if there’s no clear path towards revenue? At first, Voisine replied that Breadwallet could follow a path similar to many other tech companies, such as Facebook and Twitter, who focused on user growth and acquisition rather than revenue in their early stages of development; however, Bitcoin Uncensored co-host Joshua Unseth was quick to point out that those companies rely on collecting large amounts of data from their users, which is something Breadwallet is not willing to do. Over the years, free software companies have been able to find unique methods of generating revenue. For example, Google once paid Mozilla $900 million to be the default search engine in Firefox over a three-year period. “Our investors understand they’re making a very risky bet, but if they win, they’re going to win big time,” Lasher stated.